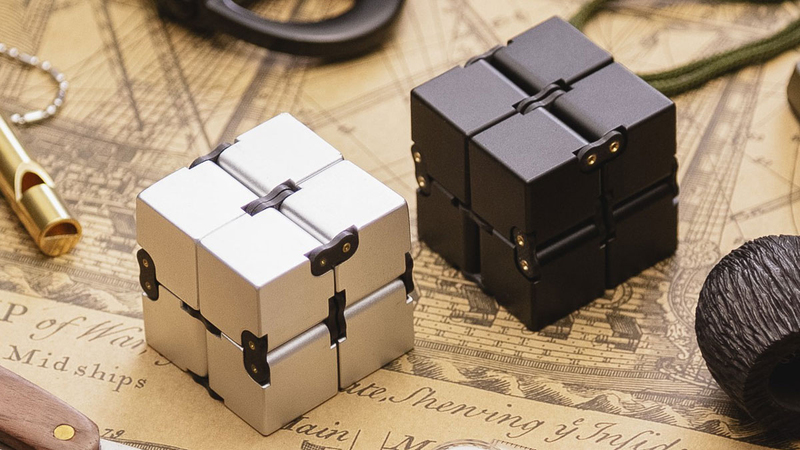 The Infinity Cube is a fidget-friendly piece of EDC made for one-handed focus and stress relief like its spinning cohorts, but composed of 8 x 20mm cubes you can fold around, away from, and on top of one another, forming the toy into and out of a single 40mm cube. Roll an Infinity Cube through your fingers a few times, and see if its neverending travels of open, open, shut, shut in any direction are as addicting in your hands. 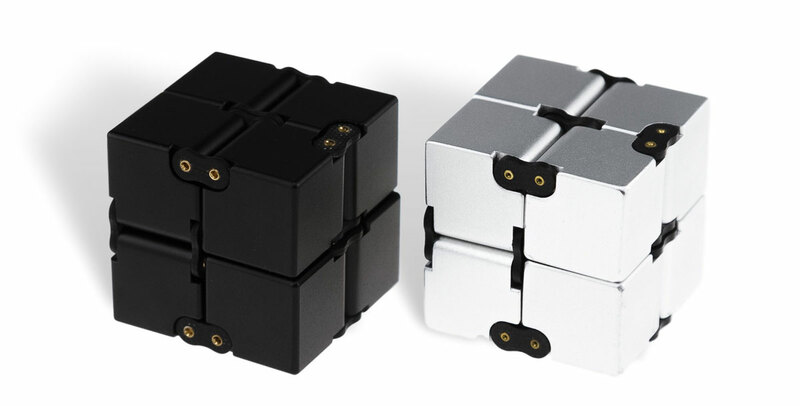 Available in Silver or Black, Infinity Cubes are CNC machined from anodized aluminum and attached with G-10 fiber links and brass pins. The desktop accessories and pocketable fidget toys seek crowdfunding through June 15, 2017. 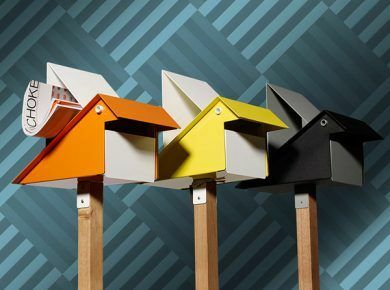 If you need to clear your mind or channel your anxiety, click here to read more, or pledge for your own folding feat of geometry on Kickstarter.